Hitachi has announced it will suspend work on a £20bn nuclear plant in the UK because of rising construction costs. 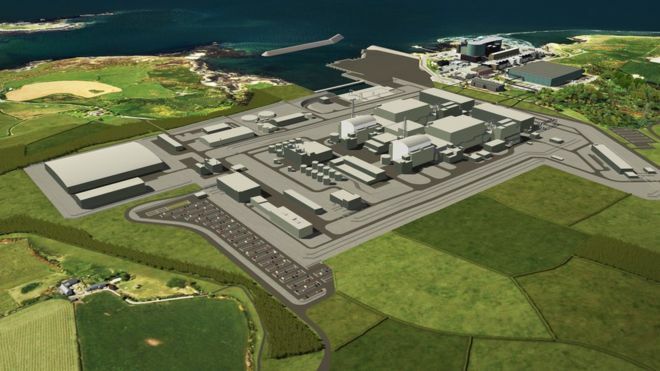 The decision puts thousands of jobs at risk if the Wylfa Newydd facility in Anglesey, north Wales, is scrapped. The Japanese firm had been in talks with the UK government since June about funding for the project, which was being built by its Horizon subsidiary. The government said it had failed to agree terms with Hitachi. The nuclear industry said it was “disappointing”. A spokesperson for the Department for Business, Energy & Industrial Strategy (BEIS) said: “As the Business Secretary [Greg Clark] set out in June, any deal needs to represent value for money and be the right one for UK consumers and taxpayers. The department added that the land was owned by Hitachi, which had indicated it wished to retain ownership while it discussed future options with the government. Shadow business secretary Rebecca Long Bailey said the government’s nuclear strategy was now “lying in tatters” and had “escalated into a full-blown crisis”.